Charnwood Stoves was founded in 1972 by A J Wells & Sons Ltd, it is a privately owned, family controlled British company that specialise in the design and manufacture of the highest quality multifuel and woodburning stoves. Charnwood Stoves are the oldest British manufacturer of wood burning stoves, so you can be sure your buying a top quality stove. Over the last 39 years Charnwood Stoves have invested in the latest technology and have installed their own Vitreous Enamelling Plant, Robotic Welders and state of the art lasers, to ensure you get the very best quality stove possible. With a wide choice available, Charnwood Stoves offer a variety of styles to suit any room and home. From traditional stoves to modern curved glass stoves to give you a view from every angle. 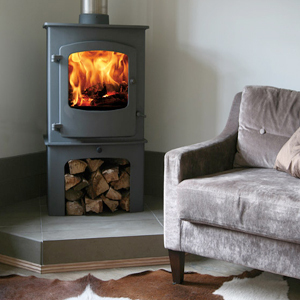 Their C4 range also offers a choices of different finished to your stove, from a traditional rouge to a modern grey, your sure to find your perfect stove with Charnwood. 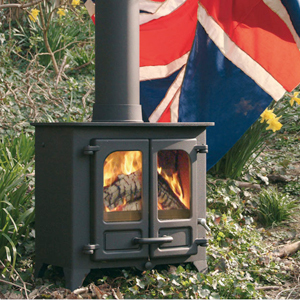 Made from the highest quality steal and cast iron, Charnwood Stoves are built to last for many years. Each stove is extensively tested to ensure that the stove meets the highest standards that Charnwood Stoves set.